It's Friday, so I can tell you this random search story. In the post below about Paul, I made an offhand remark about social networks being useful for one thing, getting laid. I then noticed that Paul was, in fact, wearing a lei in his Yahoo 360 picture. I decided to note the joke in an updated post. But I was not sure how to spell "lei" and furthermore, how to turn it into a verb (I settled on "lei'd"). In any case, to check the spelling of "lei" I plugged it into my Firefox Google toolbar. It confirmed the spelling, but also did a currency conversion for me, which is a new feature at Google. Turns out, the lei is unit of Romanian currency (though yahoo says it's a "leu"). Explanation: 1 December is Romania's National Day. Inside Google Office is a friendly atmosphere. Googleplex shines with intelligence and bright colors. Google has taken its first foray into the physical world with the launch of an Internet cafe-style computing booth in London's Heathrow Airport. The stand, launched on Tueday morning, will be staffed by at least two Google employees from 0700 to 1900 every day for the duration of the trial, which will run until 19 December. Google staff will be flown in from around the world to man the station. 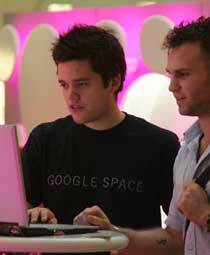 Google Space offers passengers free access to applications such as Google Earth, Google Mail and Picasa. Xooglers is a gathering spot for ex-Googlers to reminisce and comment on the latest developments in search. 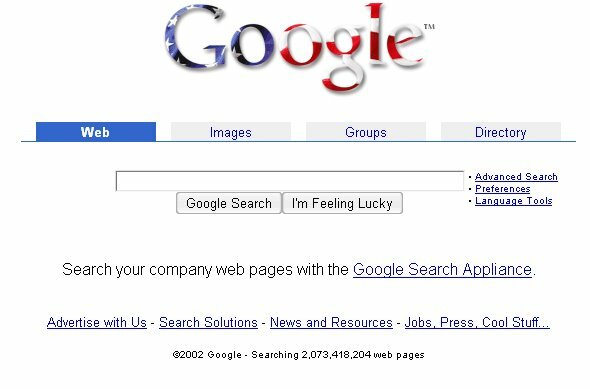 It’s a blog that Doug Edwards and Ron Garret started to reminisce about his experiences at Google. 6:00 AM drive to Burbank airport. It was a murderous commute. Four hours, which I eventually whittled down to three after a year of optimizing. I went through various permutations of cabs, rental cars, having my wife drive me to and from the airport (that didn't go over well at all) before I finally settled into something that vaguely resembled a routine. I ultimately ended up driving two different cars back and forth between LA and San Jose, and on a couple of occasions I did my commute in a Cessna 182RG (I'm a pilot) which was just too cool for words. With his Ph.D. from the University of California at Berkeley and research stints at Bell Labs and Xerox's famed Palo Alto Research Center, he had a solid reputation among geeks, cemented by his championing of the Java programming language as Sun Microsystems' chief technology officer. 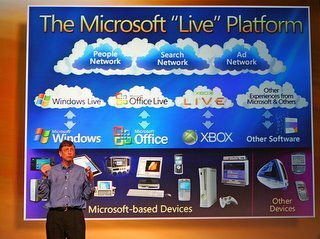 And he faced his first real management test as CEO of Novell, the troubled software maker that has fought a long, difficult war with Microsoft. These days Schmidt is on a stellar winning streak. How does he do it? One rule was handed to him by Brin and Page when he walked in the door: Don't be evil. The other one is a formula he uses to stay on track while innovating: Spend 70 percent of your time on the core business, 20 percent on related projects, and 10 percent on unrelated new businesses. Business 2.0's John Battelle talked to Schmidt to find out how he and his colleagues live by those rules. How has "Don't be evil" helped Google? When I showed up, I said, "You've got to be kidding." Then one day, very early on, I was in a meeting where an engineer said, "That would be evil." It was as if he'd said there was a murderer in the room. The whole conversation stopped, but then people challenged his assumptions. This had to do with how we would link our advertising system into search. We ultimately decided not to do what was proposed, because it was evil. That kind of story is repeated every hour now with thousands of people. Think of "Don't be evil" as an organizing principle about values. You and I may disagree on the definition of what is evil, but at least it gives us a way to have a very healthy debate. Does Google have some kind of grand strategic plan for the new products it creates? 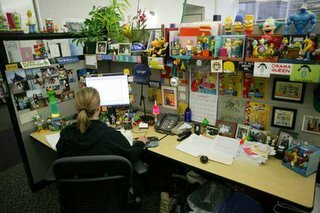 Virtually everything new seems to come from the 20 percent of their time engineers here are expected to spend on side projects. They certainly don't come out of the management team. What do you do with your 20 percent time? Well, 20 percent time applies to the technical staff. It does not apply to sales or management. Here's how it works for management: We spend 70 percent of our time on core search and ads. We spend 20 percent on adjacent businesses, ones related to the core businesses in some interesting way. Examples of that would be Google News, Google Earth and Google Local. And then 10 percent of our time should be on things that are truly new. An example there would be the Wi-Fi initiative. It seems no one is safe: Google is doing Wi-Fi; Google is searching inside books; Google has a plan for ecommerce. 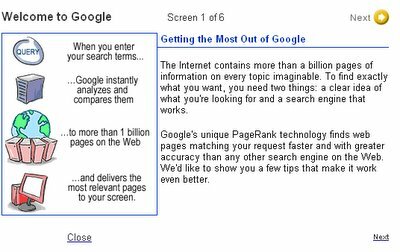 Of course, Google has always wanted to be more than a search engine. Even in the early days, its ultimate goal was extravagant: to organize the world's information. High-minded as that sounds, Google's ever-expanding agenda has put it on a collision course with nearly every company in the information technology industry: Amazon.com, Comcast, eBay, Yahoo!, even Microsoft. Reality check: Google Video is up and running. The question is, How much content can it attract - or pay for - to fill the database. Watch for a strategic acquisition, even something big. TiVo? Reality check: This may be an extension of Froogle rather than a stand-alone product. But it could expand to everything from travel to eBay-like offerings. Signs of panic: Surprisingly few so far, partially because Google says it has no plans to offer Wi-Fi beyond San Francisco. Still, Comcast coined the word Comcastic - is that its answer to Googlicious? Reality check: Something's clearly afoot, and it could be big. With great power comes great regulation - so Google recently opened a DC lobbying shop to combat "centralized control by network operators." If anyone can fulfill the dream of turning the Internet into the operating system, it's Google. If the company chooses to develop an OS, the move will cement Google's other initiatives into a powerful whole. Reality check: The migration of applications from PCs to the Net is already happening - and it's key to Google's future. 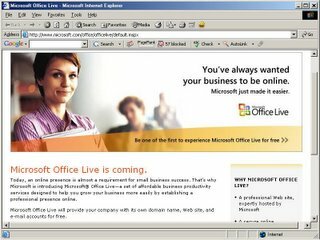 But the likelihood of a Google OS depends on what Microsoft accomplishes with its new OS, Vista. What if a search engine trolled not just every page on the Web, but every page in every book? Amazon.com tried it first, then Google said it would "make the full text of all the world's books searchable by anyone." 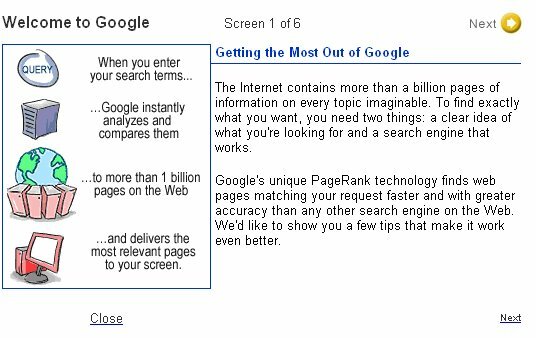 Reality check: Making every book searchable sends a clear signal that Google has the brawn to organize the world's information. But a vicious backlash could drown out that message. Google joined with Sun Microsystems in October to jointly promote and distribute apps like the Google Toolbar and Sun's free OpenOffice software. Wider distribution of the toolbar, Google's most potent Trojan horse, gives the search engine access to a world of desktops. Reality check: It may be a fiendishly clever way to attack one of Microsoft's highest-margin products, but this tactic can't be a top priority. Google Toolbar will thrive without Sun. Google has pledged to donate $3 million to the U.S. Library of Congress. They are going to help setup a system in place for creating digital copies of rare documents from around the world. This is just the latest step being taken by the search engine giant to expand the scope of their Google Book Search initiative earlier called Google Print. With this announcement, Google becomes the first tech company to back the World Digital Library, a concept that began to take shape about five months ago. The program is loosely based on a similar plan called Library of Congress’ American Memory project, which was launched some 11 years ago. Google co-founder Sergey Brin said that this investment required little decision making as it goes on to help them achieve their goals of making the entire information available in the world available for search on the internet. Brin said during a Monday interview: "This is a philanthropic initiative for us. It’s all about making more information available to more people." "We are trying to do a documentary record of other great cultures of the world. How much we will be able to do will depend on how many additional partners we attract," said James Billington, librarian of Congress. Test results are automatically updated every 15 minutes. According to the Pew Internet and American Life Project, the number of US web users taking advantage of search engines has risen sharply since mid-2004 – from 30 per cent of the US web population in July 2004 to its current level of 41 per cent, which translates to some 59 million Americans. The Pew Internet and American Life Project also found that those likely to spend more time on search engines tend to be in their 30s and well off. The report added: "Those who use search engines on an average day tend to be heavy internet users. They are much more likely to have broadband connections than dial-up connections; to log on to the internet several times a day; and to have spent considerable time online during the day." Good news then for search giant Google. Recent research by Nielsen/Netratings found that Google now has some 46 per cent market share in search, double that of its nearest rival Yahoo! Search, with 23 per cent. Despite the increase in traffic, searching has yet to catch up with the top internet function of email. According to the report, around 52 per cent of all US internet users are pressing the 'send' button on an average day. 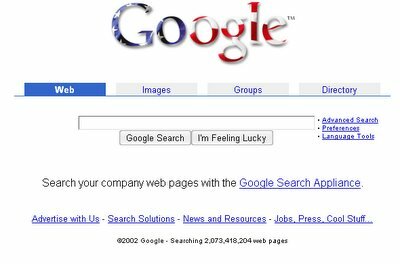 Dig into Google homepage history at web.archive.org. If you've been to a technology event recently, especially one with a high concentration of digerati, you may have seen someone stand up and tell everyone what the event's Flickr tag is. It may sound like another language, and in a way it is: Flickr is a popular photo-sharing service that allows anyone to view most of the more than 50 million member-submitted images it hosts. Tags, meanwhile, are the searchable keywords the individuals can assign to either their own images or to those of nearly anyone else that say something about the information--the defining characteristic of Flickr and a growing number of other online services. "In Flickr, tags worked because they were fundamentally social," said Stewart Butterfield, Flickr's co-founder. "By agreeing on a tag in advance, users could collectively curate collections of photos in a dead simple way. Now we see people announcing at events, 'The tag for this is baychi05' and stuff like that." The idea behind tagging may be irresistibly simple, but its ramifications are enormous and complex. For more than a decade, the primary way to categorize and find information on the Internet was through the automated algorithms of search engines, a process at once laborious and highly imprecise. Tagging has quickly gained popularity because it allows human beings to bring intuitive organization to what otherwise would be largely anonymous entries in an endless sea of data. Moreover, beyond its practicality, others find a philosophical significance in tagging because it is consistent with the social thinking often associated with the beginnings of the Internet. What many fans of tagging like best is that it is a system that empowers individuals. And after years of users trying to find their way around Web sites using categories defined by a small number of people running those sites, tagging is a huge relief. Tagging services: Flickr, Technorati, del.icio.us, Google Base. Google Base is a place where you can add all types of information that Google will host and make searchable online: reviews, recipes, wanted ads, course schedules and more. You can also submit bulk content via FTP. The Google Story goes on sale in the United States on Tuesday, Nov. 15, and the extraordinary reach of the search engine has made the book of global interest. The book is also being published in Great Britain, Canada, Australia, China, Taiwan, Russia, Germany, Brazil, Italy, Japan, Korea, the Czech Republic, Holland, South Africa, Turkey, New Zealand and Indonesia. Read a free excerpt: Chapter 26 -- Googling Your Genes : Sergey Brin and Larry Page have ambitious long-term plans for Google's expansion into the fields of biology and genetics through the fusion of science, medicine, and technology. Google Analytics is a free statistic software for your website, and it’s integrated with Google’s AdWords advertising program. You can sign in with your Google Account. Google Analytics comes with over 80 predefined reports. Advanced Visitor Segmentation adds eighteen predefined segments for further drill-down into any of these reports, such as geographic location and new versus returning visitors. Instantly compare traffic, key conversion metrics and trends by segment. Google has offered to bring free wireless Internet, or WiFi, connections to Mountain View, the city of its corporate headquarters. The offer comes about two months after the company offered to do the same for the city of San Francisco. Google officials approached Mountain View leaders a few weeks ago and offered to hoist 300 transmitters onto the city's 3,000 telephone poles and street lights, according to Mountain View Mayor Matt Neely. Neely said the company could install what he described as softball-sized devices that would transform the whole city into a so-called hotspot. Mountain View, a mid-Peninsula city of 12 square miles and about 72,000 residents, is also home to the NASA/Ames Research Center at Moffett Field, where Google is building a research complex. There, it will collaborate with the space agency scientists. If Google's proposal for Mountain View mirrors its suggestions for San Francisco, it could likely entail installation of a network of transmitters that would parlay data, via invisible radio waves, back and forth between people's computers and the Internet. Mountain View is expected to make the Google proposal public today in advance of the Tuesday city council meeting where it will be discussed. Unlike in San Francisco, Mountain View city leaders have not launched a formal call for companies to compete to bring affordable wireless Internet connections to the city. 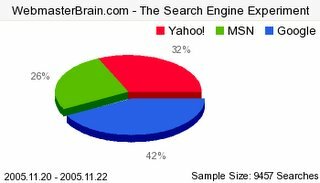 An interesting comparison between Google, Yahoo, MSN and AOL shows that there are many areas where Google doesn't have any offerings and the others do. Google does innovate in some spaces but has largely innovated in order to gain entry in markets that already existed. As a rule of thumb, they've been very smart at breathing new innovations in those markets. However, their competitors are generally quick to notice and are catching up. 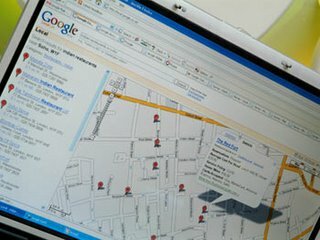 Google launched a mobile version of its Google Local service that will allow users to search for businesses or services in a specific geographical location and view the search results plotted on a map. Google Local for mobile works with most new Java-enabled (J2ME) mobile phones. While Google’s focus will be on expanding its services for mobile phone users such as the Google Local and Google Maps services, Yahoo is also hoping to increase its presence in the mobile phone industry with the announcement that it will be releasing a Yahoo Mobile phone next year the Wall Street Journal reported on Monday. The chief technology officer, Farzad Nazem, said that Google now had the exciting sheen of being "the newest kid on the block" and the fastest-growing company. "I know all about that, because that's how it was for us back in '99, 2000," he said. "We sneezed; it was like it was from God. I understand the whole thing." But Mr. Nazem and everyone else really wanted to discuss what lay beyond these keyword searches of the entire Web. "You can look at the evolution of search as a play in three acts," said Jeff Weiner, the senior vice president for search and marketing. "The first is the 'public' Web, where if different people type the same query they'll all get the same results." The second, he said, was purely personal search - finding a file or photo, usually on your own machine. "The third is the one that we are very interested in," Mr. Weiner said. This is "social" or "community" searching, in which each attempt to find the right restaurant listing, medical advice site, vacation tip or other bit of information takes advantage of other people's successes and failures in locating the same information. Google completed the first major expansion of its Google Print database of searchable books, adding the full text of more than 10,000 works that are no longer under copyright, culled from the collections of four major research libraries. The additions, from the university libraries at Michigan, Harvard and Stanford and from the New York Public Library, represent the first large group of material to be made available electronically from those libraries, which along with Oxford University contracted with Google last year to let the company scan and make searchable the contents of much or all of their collections. Google Reader blog mentions an explanation of BigTable, a Google in-house development to tackle large amounts of data in “semi-structured manner” – such as RSS readers would need. The following notes by Andrew Hitchcock from October 18 2005 are based on a talk given by Google’s Jeff Dean at the University of Washington (they are licensed under a a Creative Commons License). First an overview. BigTable has been in development since early 2004 and has been in active use for about eight months (about February 2005). There are currently around 100 cells for services such as Print, Search History, Maps, and Orkut. Following Google’s philosophy, BigTable was an in-house development designed to run on commodity hardware. BigTable allows Google to have a very small incremental cost for new services and expanded computing power (they don’t have to buy a license for every machine, for example). BigTable is built atop their other services, specifically GFS, Scheduler, Lock Service, and MapReduce. Each table is a multi-dimensional sparse map. The table consists of rows and columns, and each cell has a time version. There can be multiple copies of each cell with different times, so they can keep track of changes over time. In his examples, the rows were URLs and the columns had names such as “contents:” (which would store the file data) or “language:” (which would contain a string such as “EN”). In order to make each manage the huge tables, the tables are split at row boundaries and saved as tablets. Tablets are each around 100-200 MB and each machine stores about 100 of them (they are stored in GFS). This setup allows fine grain load balancing (if one tablet is receiving lots of queries, it can shed other tablets or move the busy tablet to another machine) and fast rebuilding (when a machine goes down, other machines take one tablet from the downed machine, so 100 machines get new tablet, but the load on each machine to pick up the new tablet is fairly small). Tablets are stored on systems as immutable SSTables and a tail of logs (one log per machine). When system memory is filled, it compacts some tablets. He went kind of fast through this, so I didn’t have time to write everything down, but here is the overview: There are minor and major compactions. Minor compactions involve only a few tablets, while major ones involve the whole system. Major compactions can reclaim hard disk space. The location of the tablets are actually stored in special BigTable cells. The lookup is a three-level system. The clients get a pointer to the META0 tablet (there is only one). This tablet is heavily used, and so one machine usually ends up shedding all its other tablets to support the load. The META0 tablet keeps track of all the META1 tablets. These tables contain the location of the actual tablet being looked up. There is no big bottleneck in the system, because they make heavy use of pre-fetching and caching. Back to columns. Columns are in the form of “family:optional_qualifier”. In his example, the row “www.cnn.com” might have the columns “contents:” with the HTML of the page, “anchor:cnn.com/news” with the anchor text of that link (“CNN Homepage”), and “anchor:stanford.edu/” with that anchor text (“CNN”). Columns have type information. Columns families can have attributes/rules that apply to their cells, such as “keep n time entries” or “keep entries less than n days old”. When tablets are rebuilt, these rules are applied to get rid of any expired entries. Because of the design of the system, columns are easy to create (and are created implicitly), while column families are heavy to create (since you specify things like type and attributes). In order to optimize access, column families can be split into locality groups. Locality groups cause the columns to be split into different SSTables (or tablets?). This increases performance because small, frequently accessed columns can be stored in a different spot than the large, infrequent columns. All the tablets on one machine share a log; otherwise, one million tablets in a cluster would result in way too many files opened for writing (there seems to be a discrepancy here, he said 100 tablets per machine and 1000 machines, but that doesn’t equal one million tablets). New log chunks are created every so often (like 64 MB, which would correspond with the size of GFS chunks). When a machine goes down, the master redistributes its log chunks to other machines to process (and these machines store the processed results locally). The machines that pick up the tablets then query the master for the location of the processed results (to update their recently acquired tablet) and then go directly to the machine for their data. There is a lot of redundant data in their system (especially through time), so they make heavy use of compression. He went kind of fast and I only followed part of it, so I’m just going to give an overview. Their compression looks for similar values along the rows, columns, and times. They use variations of BMDiff and Zippy. BMDiff gives them high write speeds (~100MB/s) and even faster read speeds (~1000MB/s). Zippy is similar to LZW. It doesn’t compresses as highly as LZW or gzip, but it is much faster. He gave an example of a web crawl they compressed with the system. 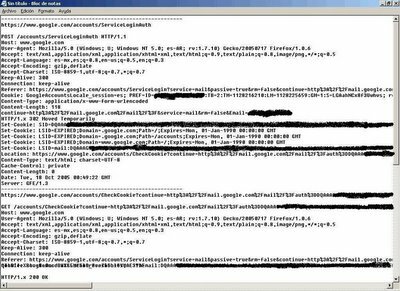 The crawl contained 2.1B pages and the rows were named in the following form: “com.cnn.www/index.html:http”. The size of the uncompressed web pages was 45.1 TB and the compressed size was 4.2 TB, yielding a compressed size of only 9.2%. The links data compressed to 13.9% and the anchors data compressed to 12.7% the original size. They have their eye on the future with some features under consideration. 1. 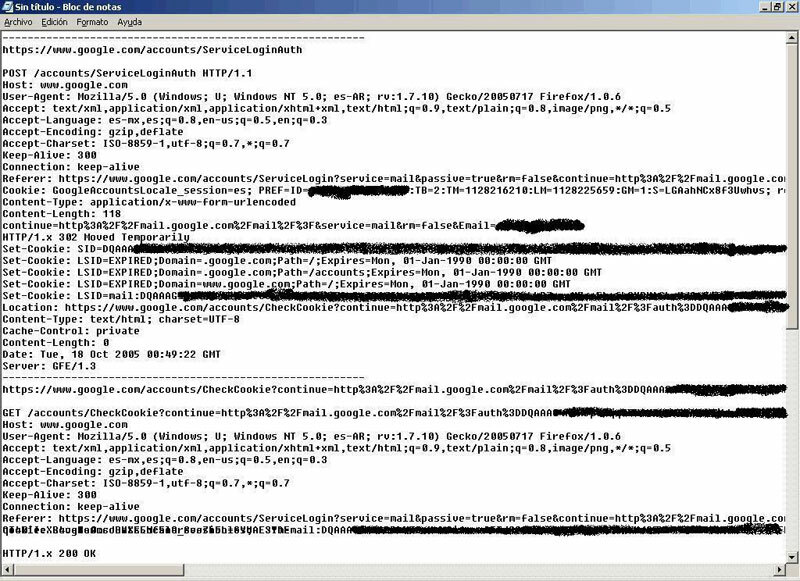 Expressive data manipulation, including having scripts sent to clients to modify data. 2. Multi-row transaction support. 3. General performance for larger cells. 4. BigTable as a service. It sounds like each service (such as Maps or Search History) have their own cluster running BigTable. They are considering running a Google-wide BigTable system, but that would require fairly splitting resources and compute time, etc. Google launched AdSense referral program. Referrals is a feature of AdSense that allows you to increase your revenue, while increasing your users' awareness of useful products and services. By adding a referral button to your site, you can direct users to products like AdSense and Firefox + Google Toolbar. When your referral connects a user to AdSense or Firefox, you can generate more earnings while helping new web publishers monetize their websites or improve their web browsing experience. When a user you've referred to AdSense first earns US $100, Google will credit your AdSense account with US $100. When a user you've referred to Firefox plus Google Toolbar runs Firefox for the first time, you'll receive up to $1 in your account, depending on the user's location. Computer users are increasingly turning to new devices for accessing key applications and information. PDAs, mobile phones, even digital TV, are all changing attitudes towards the ubiquitous PC. But, not surprisingly, Microsoft chairman Bill Gates still sees the PC – albeit a very different one – as the future. "The PC will be able to recognise speech, you will be able to use ink with it, and it will have a camera capability so it can see what is going on," he says. "The tablet form factor will be something you just take with you to meetings. There is a lot to be done. 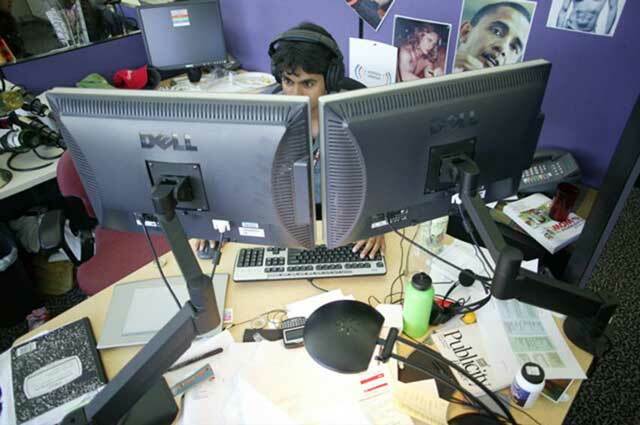 The PC will be a phenomenal device compared with what it is now." More at: Bill Gates exclusive interview. Google Desktop 2 and Google Desktop for Enterprise have emerged from beta testing and can now be considered full-fledged software. In a sure sign that the search software has finally arrived, Google Desktop has its own blog. Dozens of new third-party Sidebar panels are now available like iTunes, Winamp control and an American Express panel to track and view credit card transactions in real time. The new software can also display maps related to the sites one visits while surfing the Net. Great O'Reilly article that tries to define Web 2.0. At its most basic, a blog is just a personal home page in diary format. But as Rich Skrenta notes, the chronological organization of a blog "seems like a trivial difference, but it drives an entirely different delivery, advertising and value chain." One of the things that has made a difference is a technology called RSS. RSS is the most significant advance in the fundamental architecture of the web since early hackers realized that CGI could be used to create database-backed websites. RSS allows someone to link not just to a page, but to subscribe to it, with notification every time that page changes. Skrenta calls this "the incremental web." 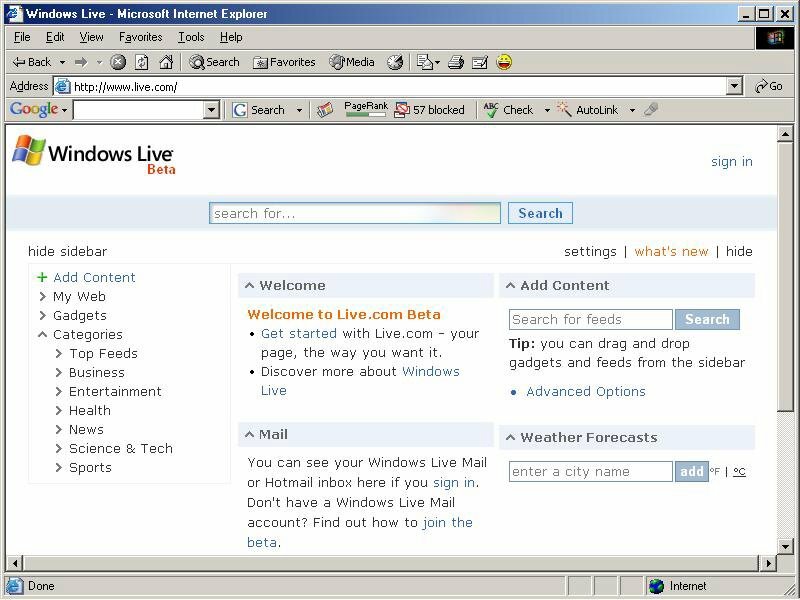 Others call it the "live web". 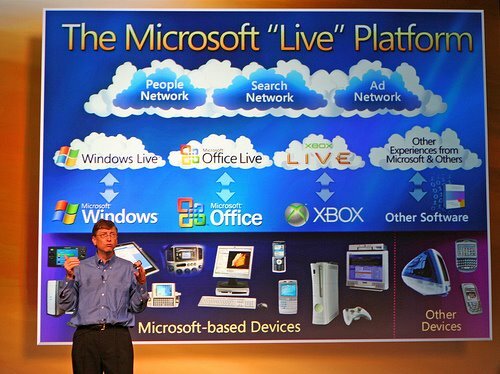 Bill Gates announced Windows Live and Office Live. Windows Live homepage looks underwhelming in Internet Explorer, and is broken in Firefox. So now on Live.com we have weather forecasts, stock quotes, email, horoscopes, an RSS reader. You can drag & drop and expand & collapse sections to your liking, and if you’re logged in, you can also see your new Hotmail messages right on the front-page . 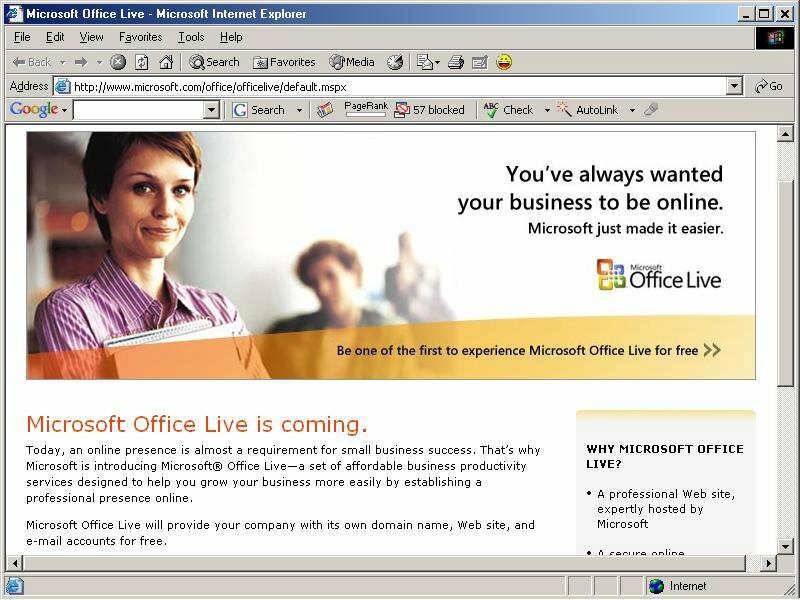 As soon as we see MS Word, MS Excel, and MS PowerPoint as actual working (D)HTML pages (Q1 of 2006), this could become interesting. Google's manager for open-source programs Chris DiBona told news.com: "We want to hire a couple of people to help make OpenOffice better."